The Lap Band Thousand Oaks is a great surgical weight loss option for who cannot lose weight through diet and exercise. The lap band is one of the most popular surgical weight loss procedures in Thousand Oaks thanks to its ease of insertion, the minimal scarring and the fact that it is both removable and adjustable. 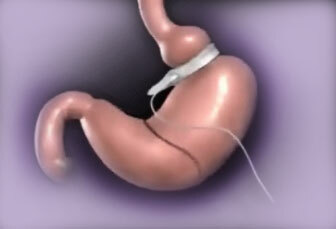 Unlike earlier forms of weight loss surgery, lap band does not permanently alter the shape of the stomach. The stomach stays the same size, but the lap band creates a temporary smaller pouch at the top that makes Thousand Oaks patients who have the procedure feel fuller faster and longer. The lap band reduces the amount of food our Thousand Oaks patients are able to consume in a sitting, thus reducing the caloric intake dramatically and aiding tremendously in significant weight loss. One of the greatest benefits to choosing the lap band is that it can be removed or adjusted if optimal weight loss results are not achieved for our Thousand Oaks patients. The lap band Thousand Oaks goes around the stomach, creating an hourglass shape, and is attached to port that is placed just inside the belly button. This port allows the lap band to become more restrictive and less restrictive based on the Thousand Oaks patient’s results and weight loss goals. At the Beverly Hills Comprehensive Weight Loss Center, we have been performing lap band surgery for Thousand Oaks residents for years with outstanding results. People from Thousand Oaks, and from all across California visit us at our clinic for our in depth knowledge, experience and resources regarding lap band surgery.